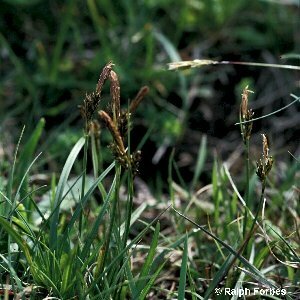 A fairly small species, usually less than 12 inches tall, of dry pastures and heaths, resembling the pill sedge (Carex pilulifera). All names: Carex caryophyllea Latour. ; Carex praecox auct.